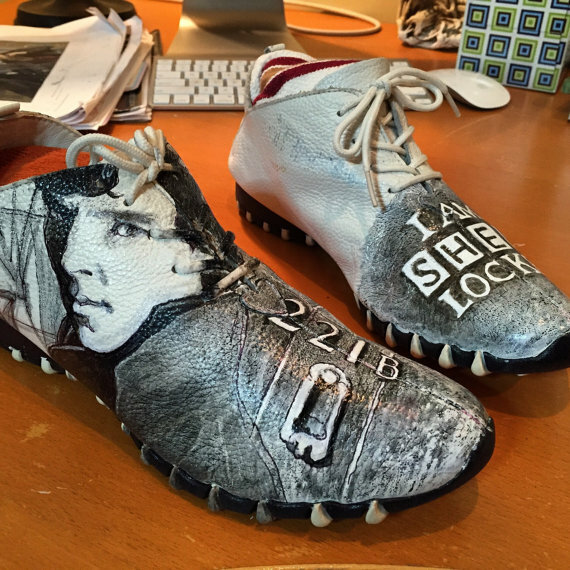 How can you call yourself a Sherlock fan if you don't have the shoes to prove it? Well, now you can be "Sherwalked" thanks to JansShoeCandy on Etsy. You send Jan the blank shoes and you get back a masterpiece. 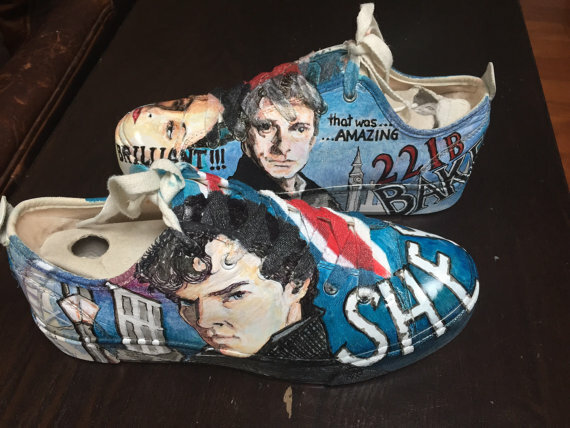 These shoes are pretty amazing and you can get non-Sherlock styles as well.